The second wildlife image series explores the uncharted waters of the underwater world. The continuous efforts and fascinating documentaries from the likes of National Geographic is certainly appreciated, but even they would agree, we are largely unaware of what lies beneath us. From what has been discovered, the ocean is stunning. It is full of life, color and surprises. In a bid to pay homage to the magical underwater world, here are some unique organisms which inhabit our oceans. The wildlife image series identifies these mesmerizing eels as part of the moray family. 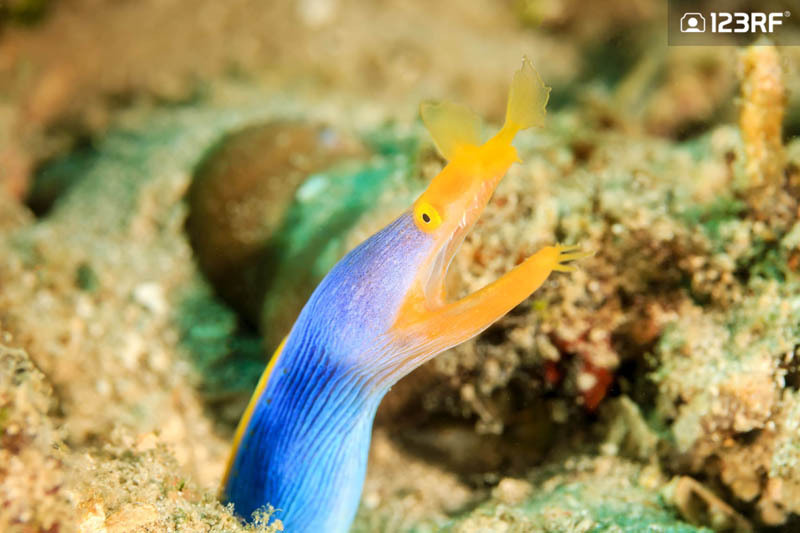 The bright colors of this eel varies from different stages in its life. Most of them start off as black, with a yellow dorsal fin. Next, they evolve into a bright blue hue before turning yellow and completing their growth. Interestingly, all ribbon eels are born as males. However, they then begin to develop female parts once they reach a length of approximately 1 meter. This unique feature is part of their adaptability to survive. They are also commonly found in the waters of the Indian and Pacific ocean, from Africa to French Polynesia. So the next time you head out for diving, be sure to keep an eye out for these gorgeous creatures, hiding in the crevices of reefs. Don’t let the beautiful appearances of these crustaceans fool you. 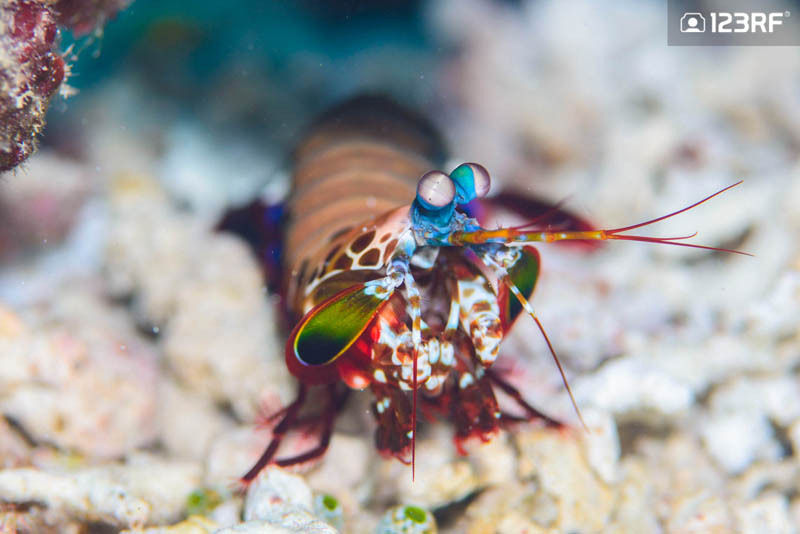 These colorful shrimp species are powerful hunters, feeding on hard-shelled invertebrates and on occasions, fishes too. Additionally, these bad boys are notoriously known for having the fastest punches in the animal kingdom. A true testament to the float like a butterfly, sting like a bee, their punches are deadly. Up to the point where it can even shatter an aquarium glass! Therefore, the wildlife image series recommends handling these pocket-sized warriors with great care. Furthermore, their complex eyesight enables them to see more colors than us usual mammals. This also includes ultraviolet lights and different planes of polarized lights. If you are looking to get up close with these crustaceans, pay close attention to burrows near the edge of the reef. Living in the dark waters of the ocean, these undersea giants are known for their terrifying appearance. It’s spindly, spider like demeanor is often a misconception of their strength. 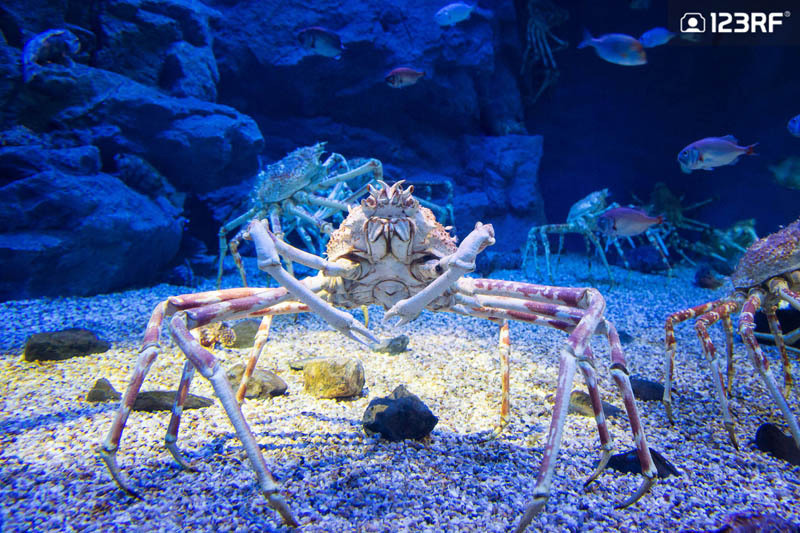 Their muscular claws are capable of snapping off a human thumb and opening clams and mussels. In addition, these crabs are highly resilient. Unlike their armored bodies, their legs are not as well protected. Therefore, most of these crabs are found with missing limbs. However, despite this, they are known to live for over a century! 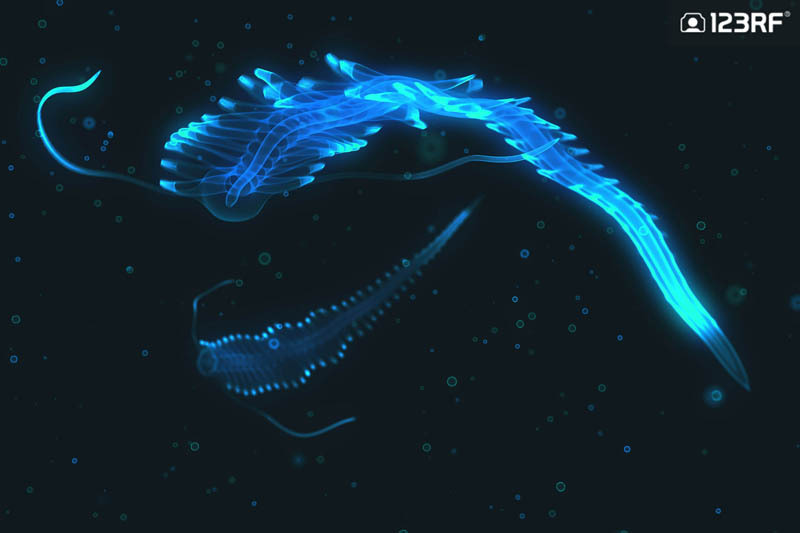 Coupled with the ability to grow over 12 feet long, the wildlife image series sees no surprise to why these deep sea creatures would send shivers down your spine. These sharks are commonly found dwelling in the warm and shallow waters of the western Atlantic and eastern Pacific ocean. The origin of their name is relatively unknown, although many believe it comes from the sucking sound when hunting for prey in the sand. This mimics the sound of a nursing baby. 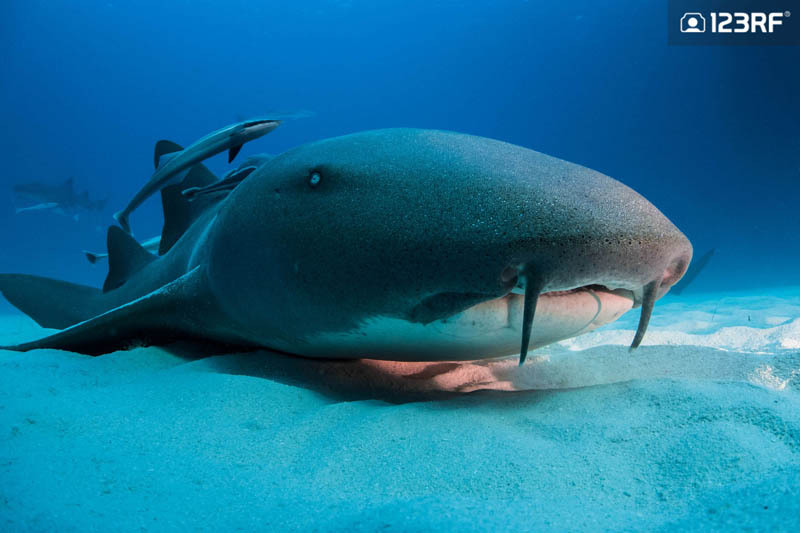 Unlike their fearsome cousins, these slow-moving sharks are rather harmless to humans. Their menu consists of fish, shrimp and squids, with the occasional shellfish or two. Covered in long poisonous spines, they come in ranges of purple, red, blue and green. This species are found throughout the Indo Pacific region, from the Red sea to East Africa and from the Indian Ocean to the coast of Central America. These creatures often prey on all types of corals, which could eventually lead to an environmental concern. 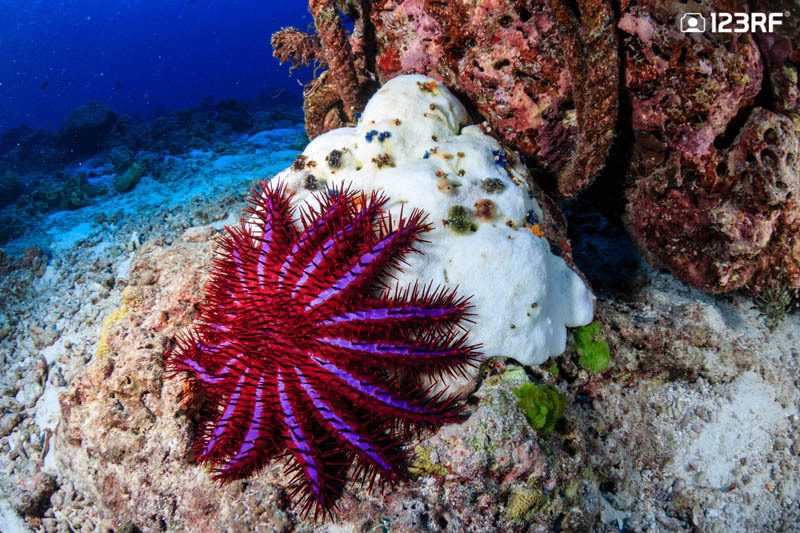 In the event of an outbreak, the starfish is capable of harming the corals. Consequently, volunteer divers in Australia had to step in. A total of 47 000 of these pests were killed as they were eating their way through the southern parts of the Great Barrier Reef. Also known as moon jelly, the wildlife image series identifies this species of jellyfish from the horseshoe shaped gonads at the top of the bell. It primarily feeds on plankton, by trapping them with their tentacles. This rather common species of jellyfish is found all over the world’s oceans. Like many jellies, the moon jellyfish has a rather unique life cycle. The sexually matures ones which are a common sight to humans are known as medusae. 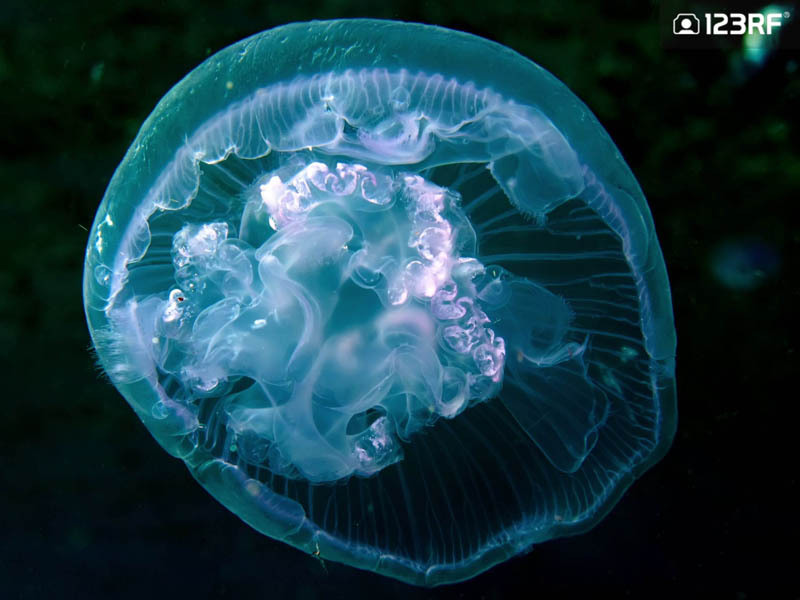 These adults jellies reproduce via external fertilization, where the females releases eggs and the males secretes sperm. Upon fertilization, the larvae attaches itself to the seabed and develops into an polyp. Finally, the polyp grows into a medusa and turns into a fully mature moon jellyfish. Also known as the horned boxfish, these species are identified by its long bull-like horns. Able to grow up to 50 meters, this underwater world wonder can be found in the Indo-Pacific region. The adults often live alone around coral reefs and are known to be territorial. 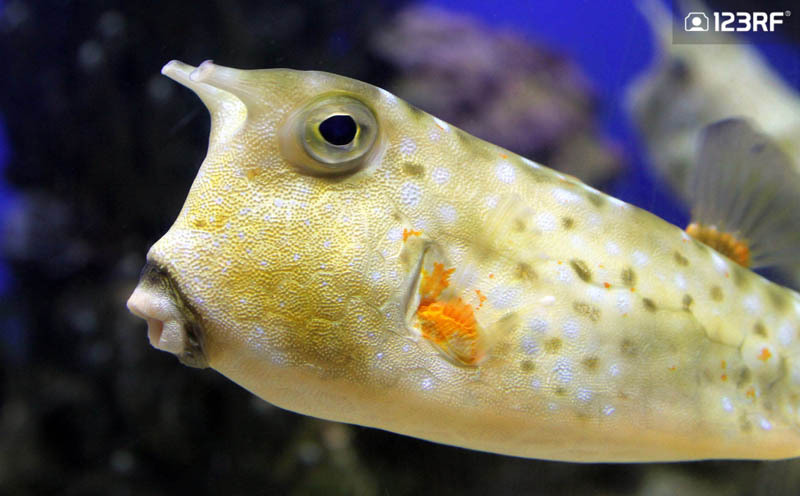 When threatened, the member of the boxfish family secretes a deadly toxin. These omnivores feed on algae, mollusks and smaller fishes. Additionally, the longhorn feeds on benthic invertebrates (sediment invertebrates) by blowing jets of water into the sand. The wildlife image series often sees Nudibranches wrongly associated to sea slugs. These sea creatures are a live exhibit of Mother Nature unleashing every bit of its creativity into one of the most colorful organisms in the world. In addition, nudibranchs are hermaphrodites. They posses reproductive organs of both sexes. 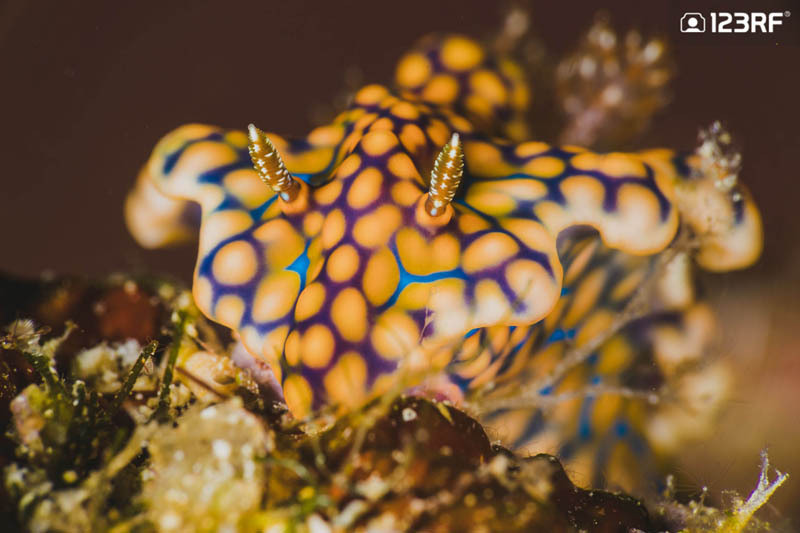 Although they can’t fertilize themselves, they rely on other nudibranchs to fertilize them, while doing the same for the partner. In doing so, the pair produce their own eggs. These fascinating creatures are also solar powered! These species harvest algae from corals are store them. Next, the algae derives its energy from sunlight via photosynthesis, which in turn, is used by the nudibranch itself. Unknown to the world on land, Polychaetes rule the sea. There is over 10000 species of these bristly worms swimming in the depths of the open sea. Many whom illuminate with a bioluminescent glow. The known species of polychaete share only a few common characteristics. This consists of a head, a tail and a segmented body which has spiny leg-like bristles sticking out. In addition, these hidden gems of the underwater world are renowned for their adaptability, having survived five mass extinctions. What is an underwater world wildlife image series without the greatest of them all? 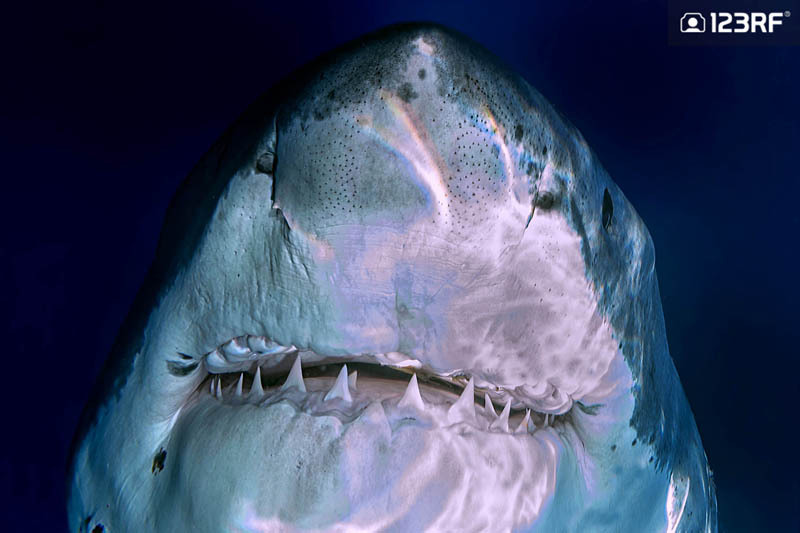 The world’s biggest predatory fish has built up a fearsome reputation in our imaginations. However, the same cannot be said for these majestic animals in real life. They are brilliantly equipped predators, but they have been unfairly stereotyped in the media. Recent studies have confirmed humans are not at the top of its menu. Although the same cannot be said for seals and sea lions. With over fishing remaining the biggest threat to these vulnerable species, it is time to give the king of the underwater world its due respect. In a bid to shed some light onto the glorious underwater world, check out our curated likebox, dedicated to appreciate the beauty of these magnificent organisms. If this has got you hooked, then read up on our previous series which showcased the best of ravishing reptiles.